The Trails West lots shown in brown are already sold. The blue lots are designated for later development. 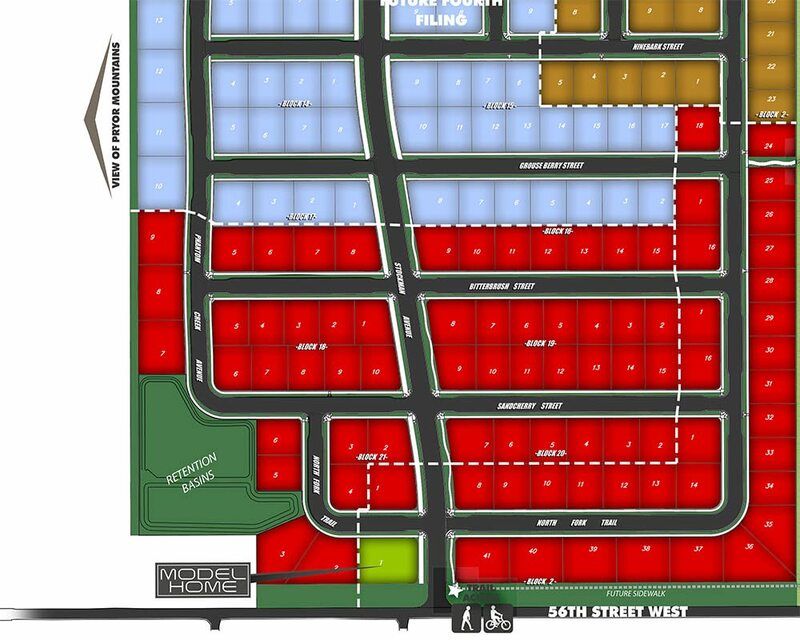 The lots shown in red are currently in development. Please contact us for available lots! You can hover over icons to see what lots are available and what lots have recently sold. To get an overview of the entire community, please visit our Community Map. Come into our model home and take a look!